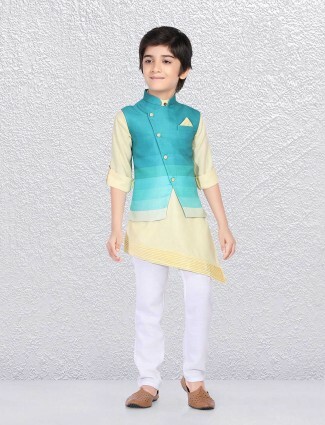 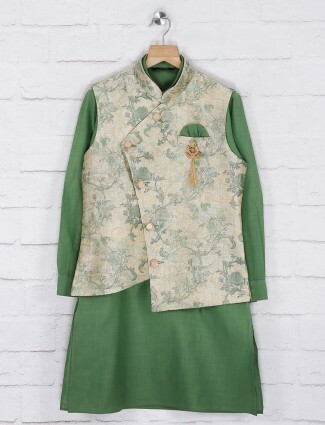 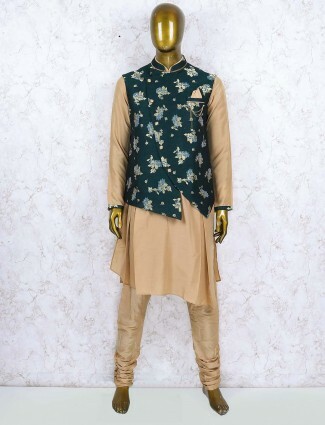 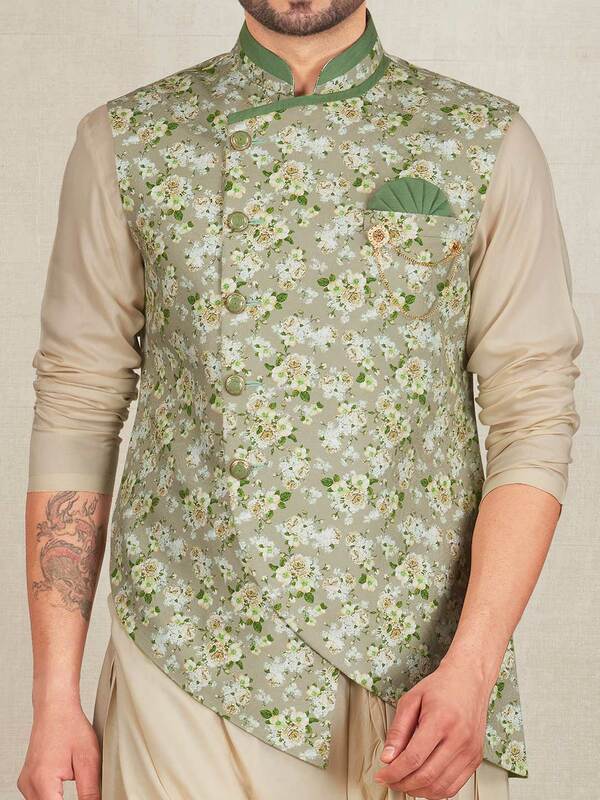 Best personality in party function with this mint green color terry rayon fabric flower printed waistcoat set. 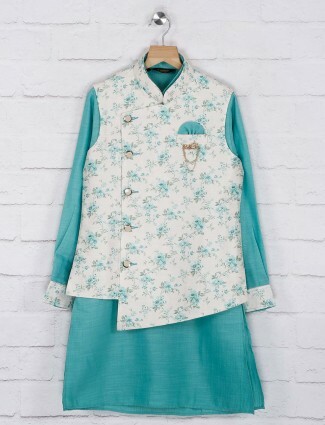 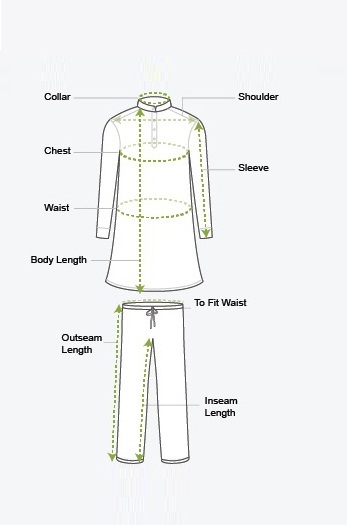 It has stand neck, full buttoned placket, asymmetric hem and welt pocket with tie. 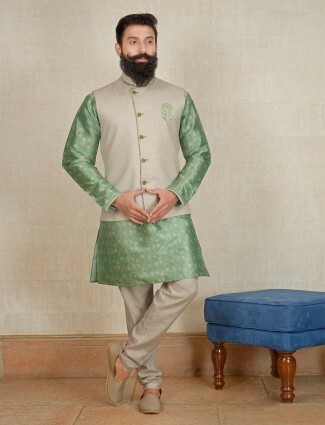 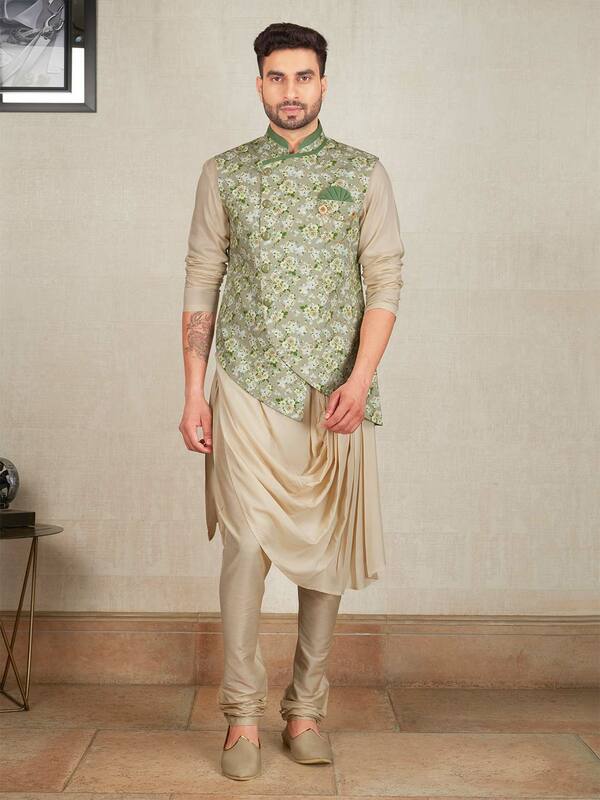 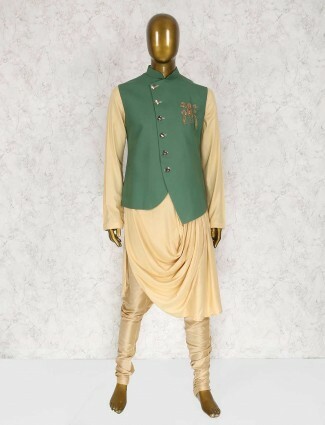 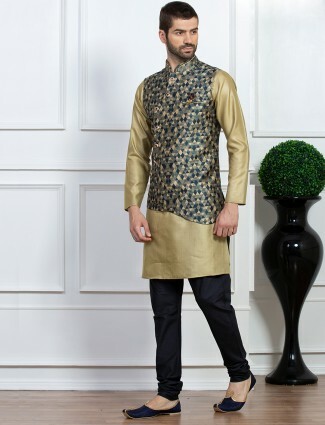 Comes with beige hue kurta suit.